Another harrowing bus trip and we arrived in Jaipur. The trip was made somewhat easier by the young local man who sat next to us and offered us chips and biscuits along the way and explained all the stops to us as we went! He even saved us when tuk tuk touts were trying to get us off the bus by telling us we were in Jaipur – we were, but not at the right stop! The stunning walled entrance to the city gave us some idea of what was to come, but we couldn’t be fully prepared for the opulence of the palace and excess of the forts. Not one, not two, but three forts on the hills surrounding the city. Jaipur is a true assault on the senses. 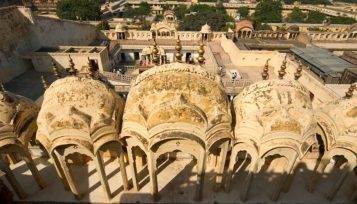 The forts and palaces are examples of India’s wealth and extravagance in the eighteenth century, while the crowded and often dirty city centre, and aggressive touts can make it an exhausting city to stay in. The city centre was painted pink in 1856 to celebrate Prince Albert’s visit and it has been known as the pink city ever since. Of all the forts, Amber Fort is the most impressive. 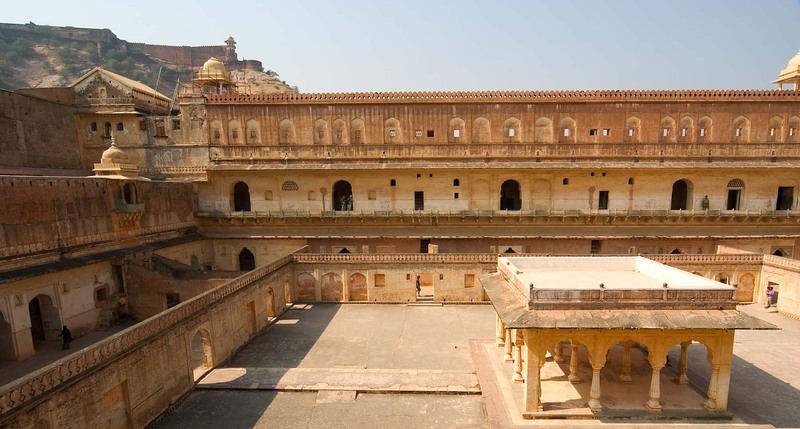 Built in 1592 by Raja Man Singh, the fort was an elaborate residential palace. 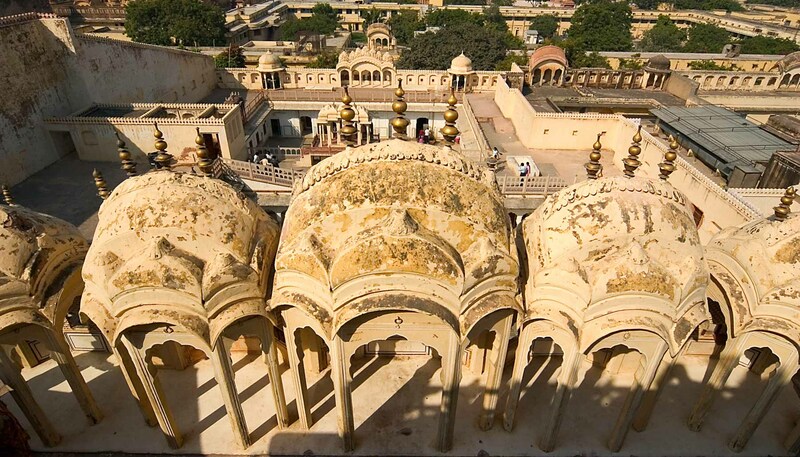 Nearby Jaigarh Fort was built primarily as a defensive fort and overlooks Amber Fort. It looms large and seemingly impenetrable on top of the mountain. Inside the pink city, sits the City Palace. 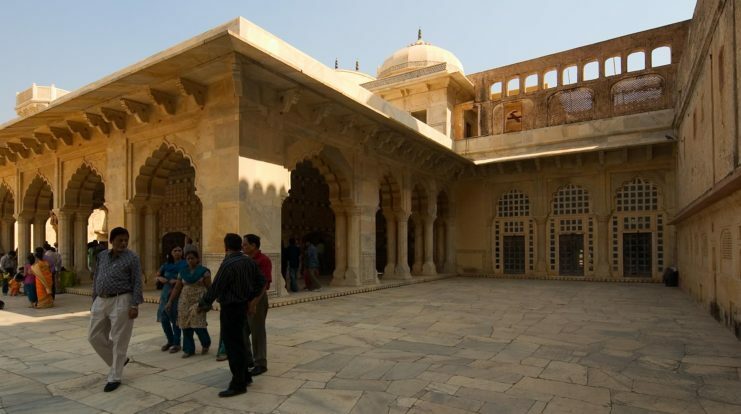 Built between 1729 and 1732 by Jai Singh II, the palace is a beautiful example of Indian architecture. The Palace is still home to the Maharaja, so much of it is out of bounds, but what you can see is stunning. 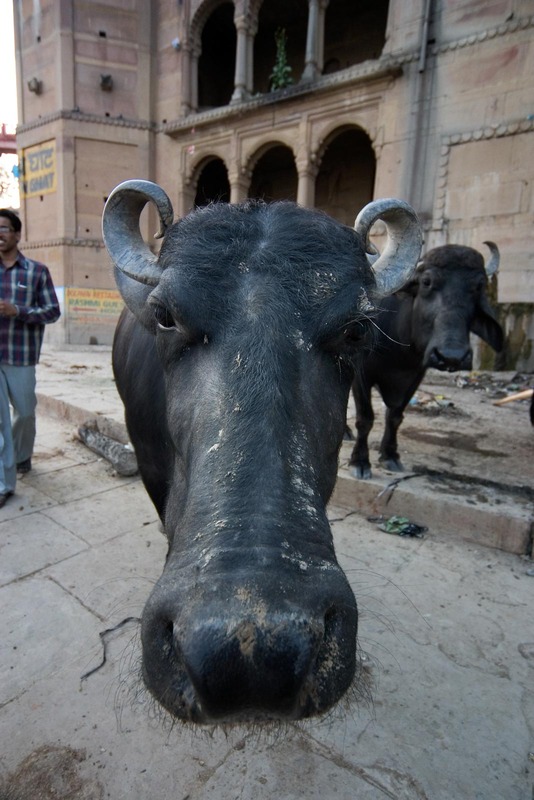 There are so many things to see in Jaipur, it’s worth spending a bit of extra time here. Oh and keep an eye on the homes – we couldn’t help spying a cow sleeping inside a house, while its owner was on the verandah outside!